7 years ago I convinced my city dwelling/hipster band to jump in a borrowed van and head out to the bush to put on a three free shows in three halls to raise some money for BLAZEAID, who were rebuilding fences for farmers after a particularly bad bout of floods. Little did we know that this would end up being an annual pilgrimage to halls near and far! Fast forward 6 years, we are about to head into out 7th Country Halls Tour and so far have brought our Country Halls Tour show to over 70 halls throughout regional and remote Australia. 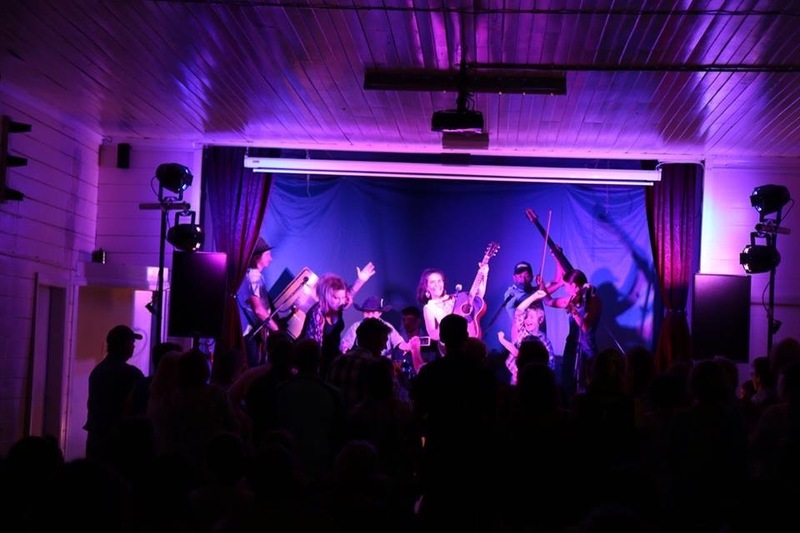 Built on the back of communities getting together we endeavour to bring a full shebang of a show with our whole band (The Thrillseekers) to remote and lesser used halls throughout Australia. So instead of people having to travel for a whole day to the city, pay for accom etc and spend thousands to see live music, we bring it to their backdoor... or local hall in this case. We also feature local artists/musicians/dance trroops/poets etc. from your areas, and have options to put on workshops for the school or greater community where needed. Each hall gathers their community together and with help of local community groups like the P&C or footy club, puts on a feed and maybe a bar and hosts our 'all- in - community - night - out' - and hell, what a good time we have. 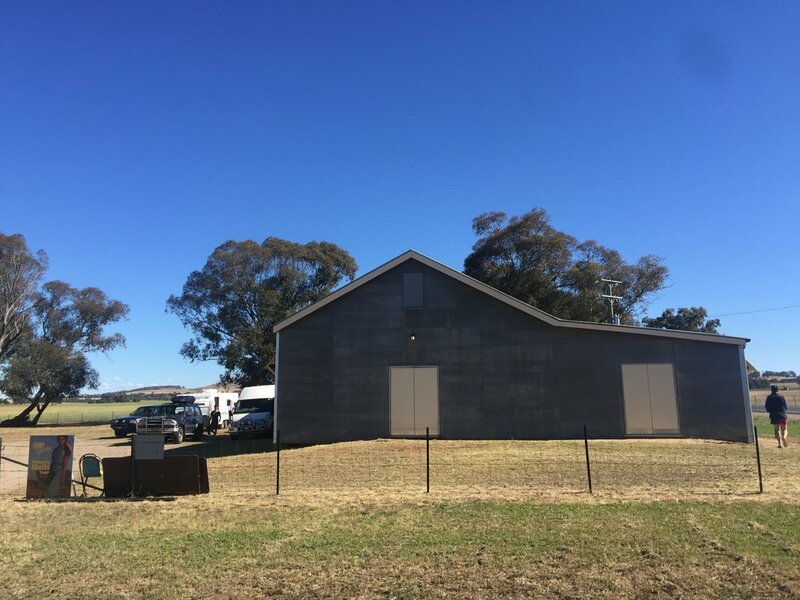 Having grown up on a farm in western NSW, attended a small school in the little village of Tallimba, where the only action the Hall saw was the CWA fate, end of year school play/Christmas concert, a deb ball and Barbs 50th, we are working hard at highlighting and celebrating these fantastic spaces all around the country. Starting in the Riverina (NSW), it has starting reaching far and wide however we are keen to visit your halls all over the Country and have no intentions of stopping anytime soon! We give the halls the option to make the event a fundraiser or if preferred just run it as a regular gig and work with the community as much as possible to make sure it suits and features your particular area and hall. We also work really hard to make sure the timing of the event works in with your seasonal events such as Harvest, footy season and doesnt clash with other community events such as deb balls and race meets. We are SO SO PROUD of this tour and work all year around on setting it up and do not get paid for it. We do it because we love sharing your halls and meeting you all in little places that have so much to share. Thanks to everyone who has believed in us and who has got on board in the past. SPECIAL SHOUT OUT TO KOOKABURRA CARAVAN HIRE who are a family business based outside Dubbo and who helped us with out accom for our 2017/18 tour. CHECK THEM OUT!